The White House Tuesday announced new commitments from companies that are joining the American Business Act on Climate Pledge, bringing the number of signatory companies to 81. These 81 companies have operations in all 50 states, employ over nine million people, represent more than $3 trillion in annual revenue, and have a combined market capitalization of over $5 trillion, according to the White House. Their signatures demonstrate their support for action on climate change and the conclusion of a climate change agreement in Paris that takes a strong step forward toward a low-carbon, sustainable future. As part of this initiative, each company is announcing pledges to reduce their emissions, increase low-carbon investments, deploy more clean energy, and take other actions to build more sustainable businesses and tackle climate change. And setting an example for their peers. For instance, the aluminum giant Alcoa pledged to reduce absolute greenhouse gas emissions by 50 percent in the United States by 2025, as compared to a 2005 baseline. The information provider Bloomberg has pledged to reduce absolute emissions 20 percent by 2020 vs the company’s 2007 baseline. 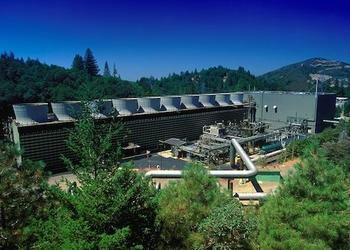 Google is committed to powering operations with 100 percent renewable energy. The company has purchased 1.1 gigawatts of renewable energy to power its data centers, and now commits to tripling its purchases of renewable energy by 2025. President Barack Obama has reached out to the business community on climate issues, most recently on September 16, when he spoke to the Business Roundtable, BRT, an association of chief executive officers of large U.S. companies. Some of the BRT members organized the American Business Act on Climate Pledge. “I would urge the BRT and some of you individually, as companies have already done this, to view the issue of climate change and the Paris Conference that’s going to be coming up at the end of this year as an opportunity rather than as a problem,” the President said. We now are seeing the environmental effects , Obama said, the California drought and wildfires, the Sierra Nevada snowpack that is at a 200-year low point, and flooding during high tides in South Florida that inundates billions of dollars worth of property. “So this is coming, Obama repeated, encouraging them to innovate for solutions to the new environment – hotter and drier than before. “For us to be out ahead of it and to think about how our ingenuity and our science can solve these problems is going to give us a jump on everybody else,” the president said. He encouraged BRT members to sign the pledge supporting a strong Paris agreement and look for opportunities in climate-related businesses. Then Obama defended his Clean Power Plan, the first in the country to require existing power plants to conform to carbon emissions limits. It has run into much opposition from companies that operate coal-burning and oil-burning power plants. The Clean Power Plan was designed to give states flexibility, understanding everybody has got a different energy mix, Obama told the BRT. “So, down south, we approved the first nuclear plant in a generation, basically, because we think nuclear needs to be part of that package. I’m a big believer that there are going to be different ways to skin the cat on this thing,” he said. The new White House announcements on Tuesday build on the launch of the American Business Act on Climate Pledge in July. This fall, the Obama Administration will release a third round of pledges, with a goal of mobilizing many more companies to join the Pledge.